So, now I have now seen “Contagion” and all the cards are on the table. I thought it was decent, but frankly, quite underwhelming. However, I have to give props for this brilliant marketing tool. After all, who needs a regular billboard when you can have a billboard made completely out of bacteria? To gain publicity at the Toronto Film Festival, Warner Bros. tapped the Canadian advertising company Lowe Roche to design a form of marketing acute to the disturbing plot of Steven Soderbergh’s film. The artists used fungi and bacteria to illustrate some posters. When first hung up, they appeared like simple, blank billboards. However, after some time passed, onlookers were excited and horrified to see that the substances had rotted and evolved in a way that beautifully (and, at the same time, disgustingly) advertised the movie. I must say that in the past decade or so of viral marketing, this is the first advertisement to take that phrase to a whole new level. 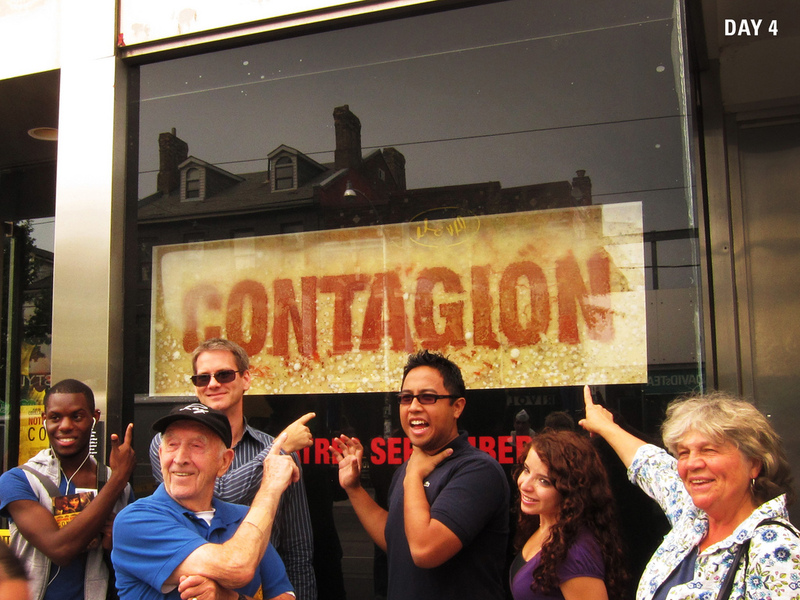 Well done to the “Contagion” marketing team for really using the creative side of their brains.